No joke. Rotary will take over the radio airwaves on April 1. 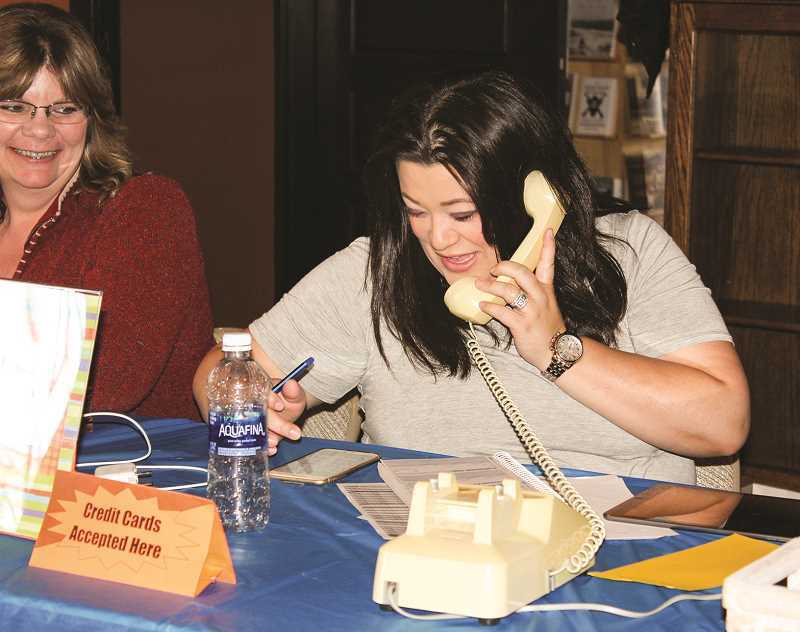 Crook County Rotary Club members will once again hold a foolishly good party on Monday, April 1, as they take over the airwaves on KRCO radio station and host a silent auction at the Bowman Museum. Rotary on the Radio will broadcast from 6 a.m. to 6 p.m. on April Fool's Day. Horizon Broadcasting Group has given 12 hours of airtime to support the club's largest annual fundraiser to provide scholarships to Crook County High School graduates. "Last year, we raised $17,000, and 100 percent of these funds go directly into scholarships for our youth," said Ken Fahlgren, president of the Crook County Rotary Club. "This year, we're working hard to reach our goal of $20,000. As the cost of higher education increases, we want to ensure our kids get what they need to pursue their academic goals." Ads, sponsored by local businesses across the community, are the primary fundraiser for this event. Cost is $100 per ad, and hourly sponsorships are $500. "It's some of the best advertising you can get for the price, and it's a heck of a lot of fun," said incoming Rotary President Gary Goodman. "So many people tune in every year on this day just to listen to the stories, singing ads, and the wannabe radio broadcasters. It's great for residents to know which businesses stand behind education for our kids." Rotarians have been out in force, looking for anyone willing to buy an ad and support local scholars to achieve their dreams. Back again this year will be the opportunity to have the local quartet, Silverados, sing an ad for them. As part of the live radio entertainment, Goodman will broadcast "Fake News" three times during the day. "We also hope to have some more fun with challenges this year," said Donna Barnes, event coordinator. "Last year, we shaved Judge Crawford's beard on the air, and our principals competed for the Silly String Challenge. Anyone can call in and challenge another business, organization or group. It's even more fun on April Fool's Day!" The elementary school principals have committed to doing the Silly String Challenge again, and Crook County Librarian Buzzy Nielsen is pledging to shave his head if Rotarians raise enough money. "We are working on getting local pastors to do a challenge," Rotarian Carol Benkosky said. 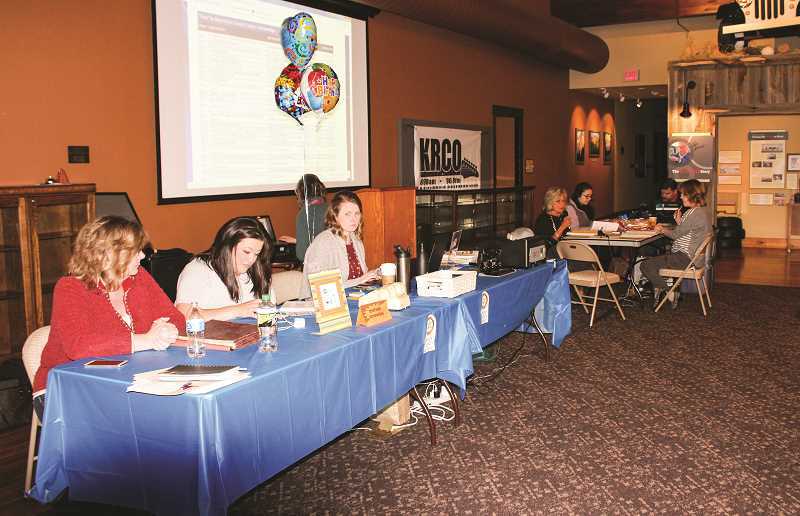 Special song requests can be ordered for $20, and Rotarians can help listeners choose songs. There are humorous songs for the brave, sentimental songs, songs with messages for the upcoming grads, songs of appreciation for hard-working parents, and of course silly songs for a light-hearted April Fool's. During the broadcast, a silent auction will be held again this year at the Bowman Museum. Popular auction items have included a retreat at Brasada Resort and delivered landscaping supplies just in time for spring. All auction items will be on display at the museum the day of the broadcast and can be previewed on Rotary's Facebook page. In person, online and phone bids are all accepted. Since the Rotary on the Radio program started in 1996, Rotarians have raised and given $260,000 worth of scholarships. "These scholarships are not just for the college bound — we also offer scholarships to technical or trade schools," Benkosky said. Visit Rotary's website, www.crookcountyrotary.com, for details or tune into KRCO at AM 690 or FM 96.9. To donate an auction item or for more information, email info.crookcountyrotary.org or call 541-362-1105.